Among the largest cultural events in Kern County — and among the most popular in Bakersfield’s Hispanic and Latino communities — is the annual Menduo Cook-Off, presented each year by the Kern County Hispanic Chamber of Commerce. This year, Chain | Cohn | Stiles is proud to be a supporter of the 16th annual Menudo Cook-Off, which will be held from 11 a.m. to 6 p.m. on Sunday, June 1, at the Kern County Fairgrounds, 1142 P St. The event, which draws more than 10,000 people to the fairgrounds, features vendor booths, live entertainment, kids’ activities, and, of course, a food competition that centers around the traditional Hispanic soup. Menudo is a spicy tripe and hominy soup. Last year, 75 contestants from throughout the state entered the competition and a panel of 15 judges, ranging from Mexican restaurant owners and local chefs to local attorneys and celebrities, evaluated the entries. Winners of the cook-off win cash prizes, and also bragging rights for having the best menudo in Kern County. This year, live entertainment will also be a draw. Musical acts who will be featured include Velorio, Mento Buru, Mariachi San Marcos and Hind Site. Hispanic chamber of commerce President Jay Tamsi told Bakersfield Life Magazine that the event caters to families who want to enjoy good music and food while supporting a good cause — the chamber. The event allows Hispanic chamber of commerce to continue its ongoing mission to promote, enhance and provide business services and cultural resources to our community in Kern County and provide scholarships to students. At Chain | Cohn | Stiles, we believe in supporting our community in and out of the courtroom. The Bakersfield personal injury law firm is a member of the Kern County Hispanic Chamber of Commerce, which was started in 1985 to promote the interests of Hispanic and minority business owners. The chamber now has more than 600 members and represents more than 400,000 people of Hispanic heritage. Also, Chain | Cohn | Stiles marketing director Jorge Barrientos is the vice president of the Hispanic chamber of commerce’s Business Education Foundation, which grants students scholarships and provides resources for businesses in Kern County. For the cook-off, you’ll see the Chain | Cohn | Stiles logo on event fliers showcased around town and at the event, and the law firm will also be hosting an informational booth on the day of the event. For more information on the chamber or the menudo cook-off, call the chamber office at 633-5495 or visit www.kchcc.org. As mentioned in a previous blog post, May is National Bike Month, as well as National Bike Safety Month. At Chain | Cohn | Stiles, we believe in bicycle safety, and several of the Bakersfield personal injury lawyers and employees at the law firm are bike enthusiasts and practice safety measures each time they hop on their bicycles. It’s also important for a community business, like ours, to support community programs and events. Combining bike safety with community support, Chain | Cohn | Stiles is sponsoring the De VleesHuis race on Saturday, May 17, as well as the 2014 Downtown Criterium on Sunday, May 18. 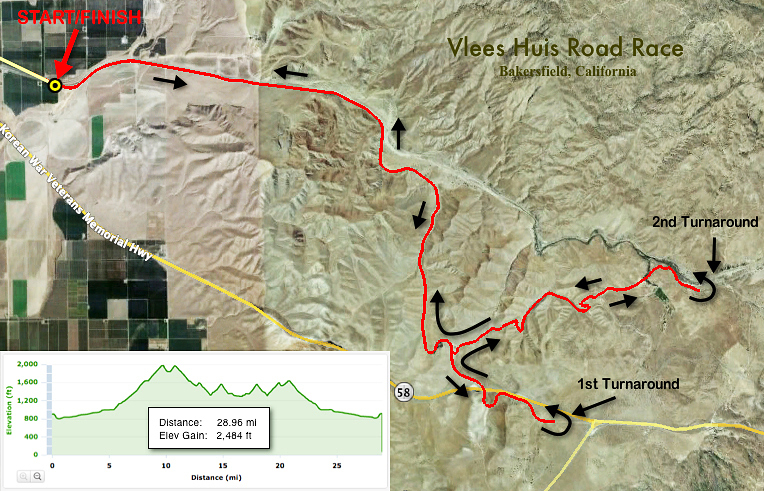 Saturday’s De VleesHuis, slugged as “a road race for the strong,” will be a 30-mile loop through Bakersfield, with easy flats, a long stead climb and some puncher climbs in between the flats and back to the finish, according to even organizers. It will reach an elevation of nearly 2,500 feet. To see the route, go HERE. The Downtown Criterium will be held on Sunday, and will feature Formula One style bike racing on Bakersfield’s city streets. The four-corner rectangle course will deliver a fun, exciting race around a downtown Bakersfield park venue. The course is .8 miles. The family-friendly event will feature music, a kid’s race, food and “the fastest race in Kern County,” event organizers said. It is being sponsored and hosted by Bike Bakersfield, USA Cycling and, of course, Chain | Cohn | Stiles, among others. For more on the events, visit SamBarn Promotions, which is putting on the event, or Bike Bakersfield, a local nonprofit bicycle advocacy group. If you are planning to ride your bicycle throughout Bakersfield this weekend, please keep in mind these bicycle safety tips, courtesy of the National Highway Traffic Safety Administration. Ride and drive focused, never distracted. Ride and drive prepared; always expect the unexpected. Put safety first; we never know when a crash will occur, regardless of skill level or age; always wear a bicycle helmet when on a bicycle and a seat belt when in a car. Follow the rules of the road; a bicyclist is considered a vehicle on the road with all the rights on the roadway and responsibilities of motorized traffic. Expect law enforcement officers to monitor and address unsafe behaviors between motorists and bicyclists that put bicyclists at risk. Share the road; both vehicle drivers (motorist and bicyclist) should look out for one another and show mutual respect. For more resources related to bicycle safety and what to do in case of an bicycle accident, including Frequently Asked Questions, go HERE. The weather is beautiful. Gas prices are sky high. It’s all the more reason to get out in May and celebrate National Bike Month in Bakersfield. But before you hit the road, keep in mind that May is also Bicycle Safety Month. The National Highway Traffic Safety Administration has kicked off the “Be a Roll Model” campaign, aimed to encourage everyone to model safe behaviors to enhance the safety of all road users, including those who bicycle. The message: we can all play a part in being a “Roll Model” to decrease the risks of traffic crashes and preventable injuries and deaths. Riding and driving focused, never distracted. Riding and driving prepared; always expect the unexpected. Putting safety first; we never know when a crash will occur, regardless of skill level or age; always wear a bicycle helmet when on a bicycle and a seat belt when in a car. Following the rules of the road; a bicyclist is considered a vehicle on the road with all the rights on the roadway and responsibilities of motorized traffic. Sharing the road; both vehicle drivers (motorist and bicyclist) should look out for one another and show mutual respect. National Bike Month is sponsored by the League of American Bicyclists and celebrated in communities from coast to coast, including in Bakersfield and Kern County. Established in 1956, National Bike Month is a chance to showcase the many benefits of bicycling, and encourage others to giving biking a try. The campaign is an opportunity to celebrate the unique power of the bicycle and the many reasons we ride, whether it’s biking to work or school, riding to save money or time, pumping those pedals to preserve your health or the environment, or simply to explore your community. Closer to home, the California Highway Patrol is aiming to educate motorists, bicyclists and pedestrians about the rules of the road in an effort to reduce bicycle-involved collisions. As of Sept. 16, California drivers will be required to give bicyclists three feet of clearance or slow down and pass when it would not endanger a bicyclist’s safety. The campaign suggests bicyclists wear a helmet and drivers wear a seat belt. According to the National Highway Traffic Safety Administration, there were 142 bicyclists killed in California in 2011 and they accounted for five percent of the total collision fatalities in the state, The Bakersfield Californian reported. And in March, according to The Californian, the California Household Travel Survey found that the number of California residents walking, biking or using public transportation in a typical day has more than doubled since 2000. Also, Bike Bakersfield, a Bakersfield nonprofit bicycle advocacy group — whose mission it is to promote bicycling as a safe, fun and environmentally friendly means of everyday transportation — is hosting a number of events during Bike Month. For a list, go HERE. At Chain | Cohn | Stiles, we believe in bicycle safety. In fact, several of the Bakersfield personal injury lawyers and employees at the law firm practice safety measures each time they hop on their bicycles. Sadly, accidents still happen even after taking proper safety measures. We’ve developed a list of questions and answers related to bicycle accidents. If you are ever in a bicycle accident, be sure to keep these answers and tips in mind. And for more resources related to bicycle accidents, including more questions and answers, see our Frequently Asked Questions section HERE. If I am injured while riding my bicycle, can I sue the driver that hit me? Yes, as long as you can establish that the driver was at fault. Can I still bring a lawsuit against the driver if I was doing something I was not supposed to, such as riding on the wrong side of the street, not wearing a helmet or not having proper lights or reflectors at night? Yes. You can bring a lawsuit as long as you can prove that the driver or some other person or entity was at fault. The bicyclist has the same duties and responsibilities on roadways as a motor vehicle driver. Further, there are some additional special requirements for bicyclists. Adult bicyclists are not required by law to wear helmets, although a jury can still find you negligent for not wearing a helmet even if you are an adult. Further, not following the law by riding on the wrong side of the road or not having proper gear to ride at night can, and often will be found to be negligent behavior on your part. However, a bicyclist’s negligence does not eliminate their ability to sue another party; it simply reduces the recovery by the percentage of their fault. My child was injured or killed while riding his bicycle. What are our rights? Children, particularly young children, are not held to the same standard of care for their own safety as adults. Thus, drivers must be more cautious when they know that children riding bicycles are in the area. Even if your child was negligent, you may be able to recover against anyone responsible for causing the accident, including the driver of the vehicle that hit your child. I was riding my bicycle when I rode over a pothole which threw me off my bike and caused a serious head injury. Do I have a case? Yes. You have a potential case. If you can establish that public or private property was in a dangerous condition and that it was foreseeable that someone would be riding a bicycle over that property, you will be able to bring a case. However, to win the case you must prove that the possessor or owner of the property created, knew, or should have known, about the dangerous condition on the property and failed to repair or warn of the danger. What damages are recoverable in bicycle accident cases? A Plaintiff is entitled to recover damages for past and future medical expenses, past and future wage loss, past and future pain and suffering, and if it is deemed that conduct is bad enough, punitive damages (i.e., punishment damages against the defendant). If the bicyclist dies, his or her survivors are entitled to recover full compensation for their economic losses that result from the bicyclist’s death as well as emotional distress damages which stem from the loss of society, care and comfort of the decedent. If the survivors can prove that the bicyclist lived for a period of time between the negligent act and death, they can also bring an action for punitive damages. How soon do I need to bring a case after a bicycle accident? A Bicycle Accidents and/or wrongful death action, under California law, must be brought within two years of the date of the accident, if the accident occurred on or after January 1, 2003; and one year from the date of the accident if the accident occurred prior to January 1, 2003. In cases against public entities, a claim must be filed against the public entity within six months from the date of the accident. If the plaintiff is a minor, a minor has until their 19th birthday to bring case unless there is a government claim in which a minor should bring the claim within six months of the accident, or one year at the latest. Will my bicycle accident case settle and does it make a difference if I hire an attorney? It is always a good idea to consult or retain an attorney in a bicycle accident case because there usually will be some questions of comparative fault. In addition, expert witnesses may need to be retained to reconstruct the accident and help determine responsibility for the accident. Chain | Cohn | Stiles on Thursday morning released a statement to local media marking the one-year anniversary of the wrongful death of David Silva. The Bakersfield personal injury law firm is representing the family of Silva. For news coverage of the anniversary of Silva’s death, follow CCS on social media or return to this blog. UPDATE: Several media outlets covered the one-year anniversary and protests. See them below. Bakersfield, Calif. (May 8, 2014) – On the night of May 7, 2013, David S. Silva was asleep in front of a home in east Bakersfield, across from Kern Medical Center. Several law enforcement officers arrived on scene and proceeded to use unreasonable and excessive force in striking Silva with batons several times all over his body, while he screamed for his life and repeatedly begged the officers to stop. After being repeatedly beaten, bitten and hog-tied, Silva stopped breathing. Shortly after midnight, Silva was taken to Kern Medical Center, where he was pronounced dead. Attorneys at Chain | Cohn | Stiles will be in attendance and support the family of David Silva as they hold a rally at 4 p.m. today at the Liberty Bell outside of Kern County Superior Court, on the corner of Truxtun and Chester avenues. Chain | Cohn | Stiles has filed a civil rights lawsuit in connection with the wrongful death of David Silva. The lawsuit arises out of an incident at the intersection of Flower Street and Palm Street in Bakersfield, when David Silva died as a result of unreasonable and excessive force used by six Sheriff’s deputies, a sergeant, and two California Highway Patrol officers. The complaint seeks damages on behalf of David’s four young children, his significant other, his parents and his brother, for the loss of love, affection, society, service, comfort, support, right of support, expectations of future support and counseling, companionship, solace and mental support, as well as other benefits and assistance of Silva. CHAIN | COHN | STILES is Kern County’s leading plaintiffs’ personal injury law firm. Our Bakersfield personal injury attorneys have represented clients from throughout the San Joaquin Valley and California for 80 years. We concentrate our efforts on protecting the rights of individuals who have been seriously injured due to the negligent, reckless or intentional conduct of another. If you have been injured due to the fault of another, you have the right to hold that person or entity accountable, no matter how rich or powerful that person or entity may be. At Chain | Cohn | Stiles, we pride ourselves on having the reputation and resources necessary to overcome the most difficult challenges while achieving the best possible results for our clients. For more information, go to chainlaw.com. David K. Cohn: The most interesting man in the world? He may not be “the most interesting man in the world” who you’ve probably seen on the beer commercials, but Chain | Cohn | Stiles managing partner and Bakersfield personal injury attorney David K. Cohn is close. Bakersfield Life Magazine recently featured Cohn in the monthly “12 Random Things You Didn’t Know About …” section of the monthly Bakersfield publication. The section typically highlights a well-known personality in Kern County, who shares facts that most people around our community may not know. Part of reason Cohn was chosen for this feature is because he has been practicing law for nearly 40 years, and today he is one of the most highly regarded personal injury lawyers in Kern County. He’s also a scuba diver, an avid University of Southern California football fan and university alumnus, and a Bakersfield native. Additionally, the feature story was included in the May 2014 issue of Bakersfield, which happens to the “Best of Bakersfield” issue, where the results of a city-wide poll by The Bakersfield Californian newspaper of everything related to Bakersfield are revealed. In the issue, Chain | Cohn | Stiles was voted by Bakersfield as the “Best Law Firm” for the second year in a row, and Cohn was voted as a “favorite” in the “Best Lawyer” category, also the second time he was chose for this category. Some of my first jobs included making pizzas at Pizzaville, vacuuming cars at Oak Street Car Wash and sweeping out box cars for Santa Fe Railroad. I’ve known David Stiles, my law partner at Chain | Cohn | Stiles, since grade school. We attended Roosevelt Elementary. I once dove down to 210 feet in the South Pacific. I also dove in Malaysia, Borneo, Micronesia and Tahiti. If I wasn’t a lawyer, I would have been a pilot. I’ve practiced law for nearly 40 years and have fought well over 10,000 cases in my career. To see the rest of the random facts, read the online version HERE, or the magazine version HERE. And to read more about Cohn and his practice, see his biography HERE. Bakersfield is rich with culture, especially within our Hispanic community. This Cinco de Mayo (May 5) will undoubtedly bring celebration citywide. It’s important, however, to keep safety in mind today whether you are celebrating around town, or are traveling through local streets during this holiday. The popularity of Cinco de Mayo celebrations, especially among young people, has brought about some problems — alcohol-involved crashes. Bakersfield Police Department and other local law enforcement has traditionally bumped up enforcement around this holiday. From 2008 to 2012, 233 people were killed in drunken driving crashes on Cinco de Mayo. In 2012, almost half (45 percent) of all traffic crash deaths on Cinco de Mayo involved drunk driving. Designate your sober driver before the festivities begin. If you’ve been drinking, call a friend or taxi, or use public transportation to get home. Contact your local police if you see a drunk driver on the road. If you know people who are about to drive or ride while impaired, take their keys and help them find a safe ride home. As the statistics show, DUI crashes and incidents are still bound to happen. The Bakersfield accident lawyers at Chain | Cohn | Stiles also have some tips in the unfortunate case you are the victim in an accident. The attorneys at CCS are passionate about keeping our streets as safe as possible. In fact, the law firm has partnered with Mothers Against Drunk Driving, Kern County in the first Bakersfield “Walk (Run) Like MADD” fundraiser, which will be held this September. Below are several “Frequently Asked Questions” and answers from the Bakersfield law firm’s website related to DUI accidents, and what you should do if you are ever a victim. And remember, if you are ever involved in an accident, call the firm at 661-323-4000. Does the law differentiate between people who are killed or seriously injured by drunk drivers as opposed to people who are injured or killed by people driving under the influence of street drugs or prescription drugs? Who can sue in a DUI case? Any person who is injured by the wrongful conduct of a person driving under the influence, or the survivors of someone who was killed by a defendant who was driving under the influence, can bring a lawsuit against the defendant driver and any other person or entity who was responsible for the accident. Is it easier to prove a drunk driving case than a case in which a person is driving under the influence of drugs? Yes. The relationship between a high blood alcohol level and driver impairment is well known and well established. The same relationship between prescription and street drugs has been far less studied and is not within the common knowledge of most drivers and jurors. Thus, drunk driving cases are easier to prove. What if the person who injured me was found to be driving under the influence, but I feel like I also was probably at fault. Can I bring a lawsuit? Yes. California is a comparative negligence State. This means that you can sue any responsible party even if you are partially at fault in the accident. However, your damage award will be reduced by the percentage of your own negligence. How impaired must a defendant be for there to be a presumption under the law that the defendant was negligent? A defendant will be presumed to be negligent for causing an accident if you can establish that the driver’s physical or mental abilities were so impaired by the drug or alcohol use that they could not drive with the caution or ability of a person of ordinary prudence and skill in similar circumstances. Thus, a person can have a few drinks or drive under the influence of prescription drugs without being presumed to be negligent. Will expert testimony be necessary for me to establish that the other driver was under the influence? What damages can I recover in a wrongful death or serious Drunk Driving Accidents case stemming from the negligence of a defendant who was driving under the influence? The injured person is entitled to recover damages for past and future medical treatment, past and future wage loss, damages for pain, suffering, and emotional distress. Further, plaintiff may be able to recover punitive damages. If the injured person dies, his or her survivors are entitled to recover full compensation for their economic losses that result from the injured person’s death, as well as monetary damages which stem from the loss of society, care, and comfort of the decedent. What do I need to establish to prove punitive damages in a case in which the defendant was driving under the influence? That the defendant was convicted of a felony under Civil Code Section 3245(d). They willfully and deliberately failed to avoid those consequences. Special settlement considerations in drunk driving cases? Whether or not an insurance company wants to admit it, the jurors’ focus in a case in which the defendant was driving under the influence will be on the reprehensibility of the defendant’s conduct more than it will be on the extent of a plaintiff’s damages. Thus, a plaintiff should never settle a case against a person who was driving under the influence for the same amount of money that they would settle any other case. The case will always be worth more money than a typical Drunk Driving Accidents or wrongful death case, and may be worth many more times the usual value of the case, depending upon the seriousness of defendant’s misconduct. Yes. You will need an attorney to help you establish the degree of impairment of the defendant. Further, a skilled attorney will understand that you will receive all of the benefit of the doubt that you will need in a case against a person driving under the influence and will prepare the damage part of your case accordingly. This will help you achieve a larger settlement or verdict than you would be able to achieve on your own. Below the release are links to media coverage of the announcement, and the response from Chain | Cohn | Stiles. The attorney for the family of David S. Silva on Friday called the decision by the Kern County District Attorney’s Office a disappointment, following its decision to not file charges against officers that beat and hogtied him before he died. Chain | Cohn | Stiles has filed a civil rights lawsuit in connection with the wrongful death of David Silva in May 7, 2013. The lawsuit arises out of an incident at the intersection of Flower Street and Palm Street in Bakersfield, when David Silva died as a consequence of unreasonable and excessive force used by six Sheriff’s deputies, a sergeant, and two California Highway Patrol officers. The complaint seeks damages on behalf of David’s four young children, his significant other, his parents and his brother, for the loss of love, affection, society, service, comfort, support, right of support, expectations of future support and counseling, companionship, solace and mental support, as well as other benefits and assistance of the decedent, David Silva. Meanwhile, local, state and national news media has been covering the announcement and response. Here are some of those articles and videos.